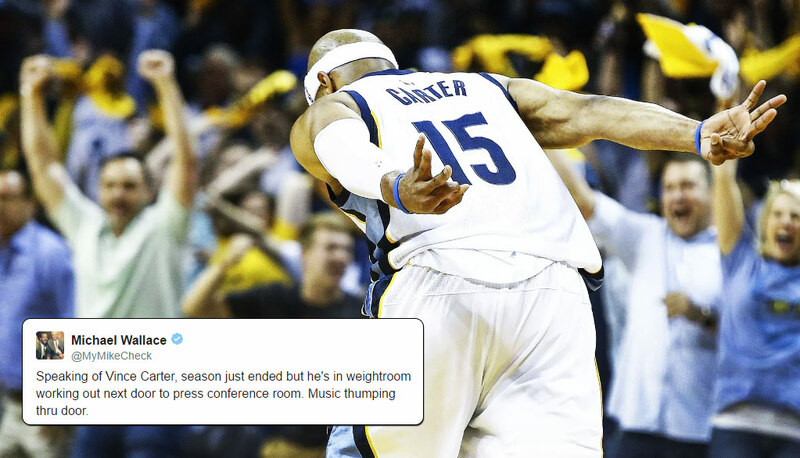 Speaking of Vince Carter, season just ended but he's in weightroom working out next door to press conference room. Music thumping thru door. Carter played 73 games (the most since 2011) this season, averaging the most points (8.0), rebounds (3.1), assists (1.8), threes (1.5), steals (0.8) and blocks (0.5) during his three years with the Grizzlies. He averaged 9.2 points over the six games against the Spurs.